All of your audio recording needs in one compact, portable wireless device. While a great show or amazing album release is normally what fuels our ears here at AntiHero, we do get pretty excited about cool inventions in the music industry. Last month I rolled up to Hopscotch Music Festival in Raleigh, North Carolina with a goal in mind: I was to learn all about the latest innovation in recording. Over near the Red Hat Amphitheatre sat a decadent teal RV in the far corner of the venue. 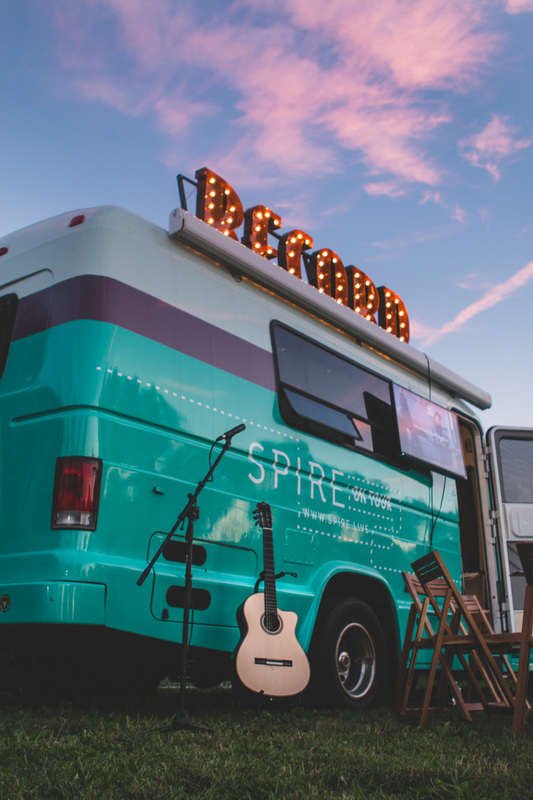 This RV is not your ordinary Meals on Wheels; inside was a carefully curated set-up that oozed tiny home central and screamed rock n’ roll. Beautiful guitars lined the walls, with seats and a cozy couch fitting near the back. On that couch sat Colin Thurmond rocking a T-shirt and jeans, the man known as the Product Marketing Manager for iZotope. We sat and talked about music. “I’m a writer for Antihero Magazine and I work for a product design firm in Raleigh,” I said. Colin smiled, handing me a pair of headphones. I put them on, not quite knowing what to expect. Being in the design industry, I am a little overly critical of what people describe as “great products”. With iZotope’s hardware piece, I was pleasantly surprised. I was able to experience music made easy. What went into my ears was a bit indescribable. I was greeted by clarity, the clearest audio I have heard in a long time. I listen to music all day, between Soundcloud, Spotify, live music, and random samples void of essential mixing and mastering despite my protest. I know what sound quality sounds like. Here I give you Spire Studio, the new innovative audio-recording device that is already making news among sound experts. You may have heard of iZotope before as a music addict or producer. 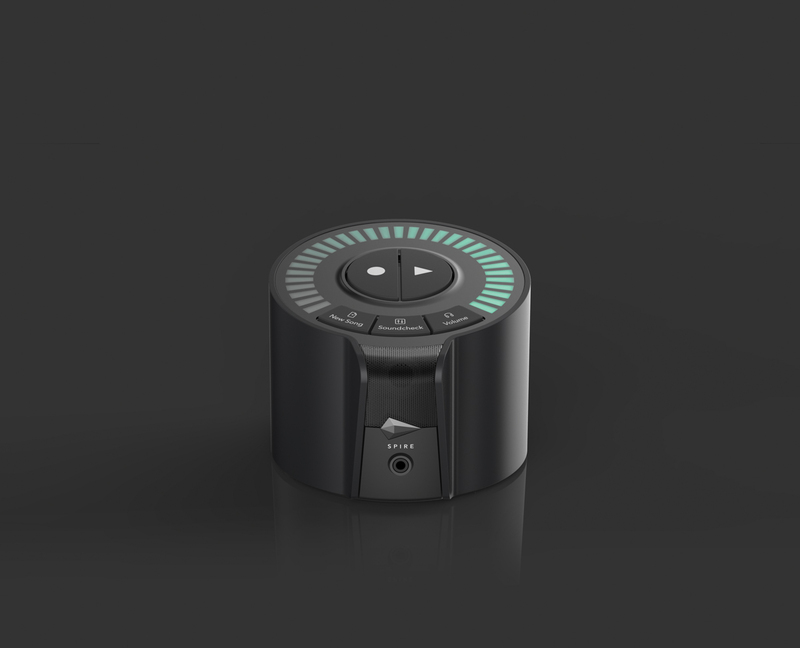 iZoTope is taking their skills to the next level with a compact, wireless device. The product is their first piece of hardware to date. Intended to target musicians, podcasters, and anyone else needing quality sound production, Spire Studio is the new mobile recording studio minus the plugs. Coolest perk? No wheels or wires — the product is no bigger than your hand. It is easily transportable just about anywhere, even your guitar case. Of course, the portability is not just convenient, but crucial to musicians on the go. 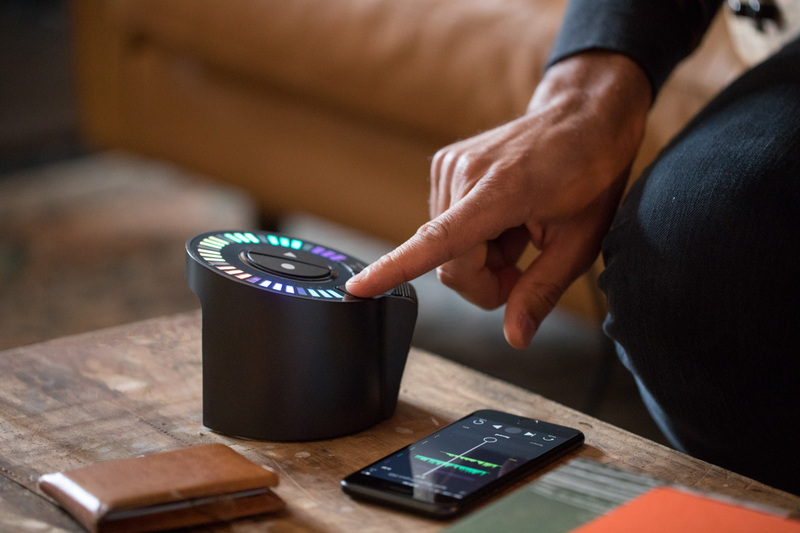 Spire Studio is an entirely wireless innovation—the hardware includes a built-in hotspot to facilitate wireless sharing through its complimentary iOs app. Simply record your guitar shredding on the device and voila! You now have a studio-quality sound file easily transferable to the iOs app, all without a single plug required. In addition to the size and wireless feature, Spire Studio comes with a wide array of special effects. The device comes slammed packed with features like delays, reverb, and even amp models. Need a guitarist to play to an empty room? Spire has you. What about incorporating a wicked whammy bar when you are playing on your Ibanez? Spire has you again. 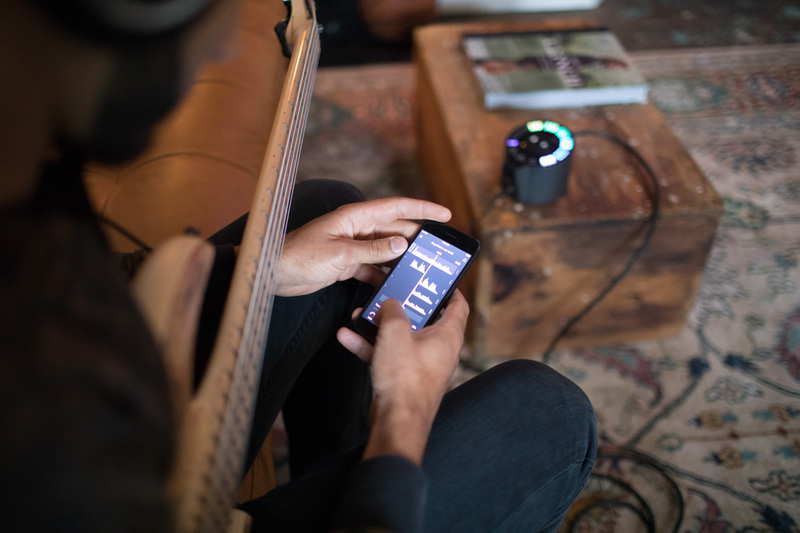 “We’ve set Spire Studio in loud band practices and concerts, and with the product’s ‘Soundcheck’ button – which works automatically – you can really make sure that you’re not clipping the recording. 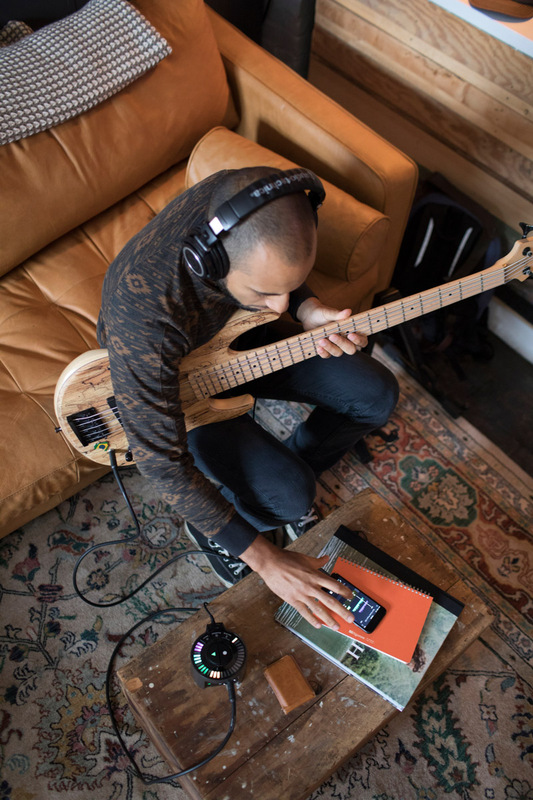 Preamps are super clean as well, so the sound stays true even if you’re really driving a noisy guitar into them.” – Colin Thurmond, Product Marketing Manager of iZoTope. Effectively saving time and hassle, Spire Studio also includes automatic recording levels at the touch of a button; gone are the days of plugging in tons of cords and doing the classic Check, check — Testing. Spire handles all that grunt work for you. What does Spire Studio mean for music? For the fans of AntiHero and musicians all over, it means recording on the road. It means easy access to a studio-grade quality sound at the touch of a button, any way and anywhere. Musicians that do not have the money to invest in a real studio or spend the time doing now have an option. It may not be the all-out answer, but it’s certainly a solution to a real need in the music industry. Spire Studio is priced at $349 according to its site. Grab your own here and start recording today.